Treasury Secretary Jack Lew says Wall Street should be taking the looming debt limit more seriously. 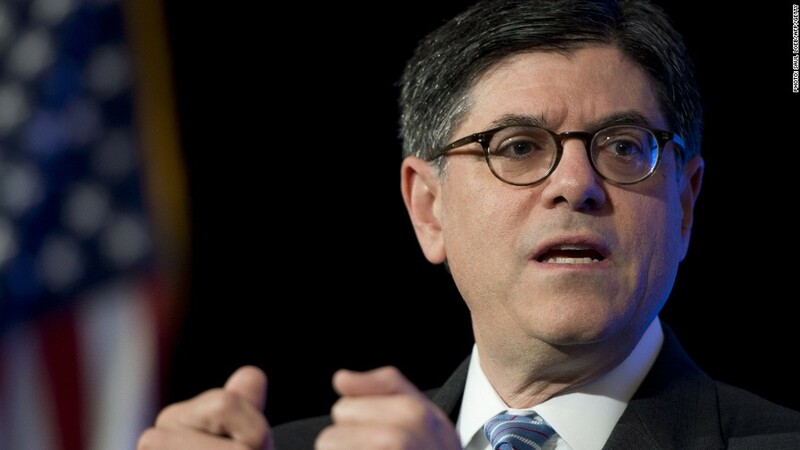 Treasury Secretary Jack Lew says Wall Street should take the looming debt limit more seriously. While stocks have slipped for four consecutive days as investors turn their attention to Washington and the budget debate, the S&P 500 and Dow are just 2% from the all-time highs reached last week. In addition to the muted market action, a key metric for measuring market fear and volatility, the VIX (VIX), is indicating calm markets. And even though CNNMoney's Fear & Greed Index has ticked just slightly into "Fear" mode, it was neutral earlier in the week. There doesn't seem to be a sense of panic at all. "I think if you look at the calm out there, it's a bit greater than it should be," Lew said at the Bloomberg Markets 50 Summit in New York Tuesday. He said investors may be traumatized from the last debt ceiling debacle. "The sense is that 2011 was a terrible experience and nobody would do that again." In August 2011, the debt ceiling showdown and Washington's failure to develop a "credible" plan to tackle the nation's long-term debt problems led Standard & Poor's to downgrade the United States' credit rating. U.S. stocks tumbled that month, with the S&P 500 sliding nearly 6%. Lew agreed that lawmakers shouldn't allow the debt ceiling brawl to get so ugly again, but warned that the clock is ticking and big decisions have yet to be made. "People have to take seriously the fact that Congress has a lot of work to do in a short period of time," said Lew. Lew has warned Congress that the Treasury will be at the end of its ability to use "extraordinary measures" to keep the country from defaulting on its payments by mid-October. After that, he said the Treasury will have less than $50 billion in cash on hand, and that won't last long. "No Treasury secretary and no president have ever gotten to a point where we ran out of our ability to borrow," said Lew. "It is uncharted territory in the sense that people have thought about what they would do, but never crossed the line. And that's not a line we should cross."